This is where you can find the latest announcements regarding the StP website. What is Squat the Planet? "The Anarchist's Guide to Travel" is now available! Announcement We now have 'push notifications'! Announcement We've upgraded the search system! The StP Bandanas are in stock once again! Post ratings / Reactions are back! Rebuilt the user title ladder! Here's what the next StP patch will look like! 'Post new thread' button has been moved! Last chance to get StP bandanas! Only 8 left! 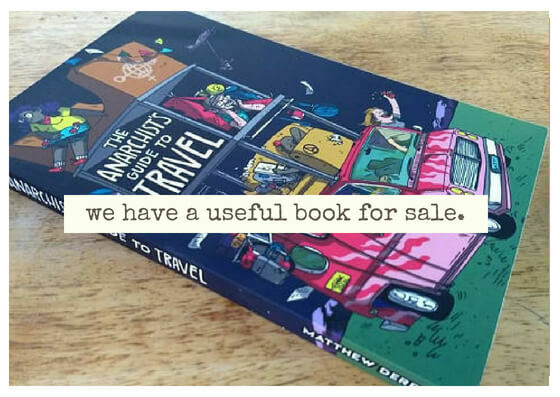 Anarchist's Guide to Travel on sale this weekend only! StP Bandanas on sale (for the holidays)! The StP Bandanas are finally a reality! Making StP bigger, better, stronger! We have a new profile cover system! The StP Guide to Train Hopping is finished! updates for ya'll and a wiki?